Founder Jonathan Maus filing a story from the National Bike Summit in Washington D.C. in March 2006. BikePortland.org is an independent news source that covers cycling and transportation issues in the Portland region. Our journalism and advocacy informs and inspires thousands of people around the world every day. 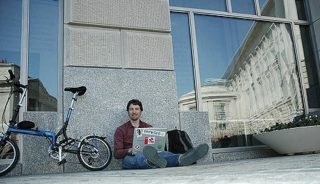 The site was founded in July 2005 by Jonathan Maus. Jonathan remains editor and publisher. You can contact him with questions, story tips, and feedback via voice or text at (503) 706-8804 or via email jonathan@bikeportland.org. Other contributors include our Family Biking Columnist Madi Carlson, advocacy editors Emily Guise and Catie Gould, and a big and wonderful community of guest writers (we welcome submissions!). 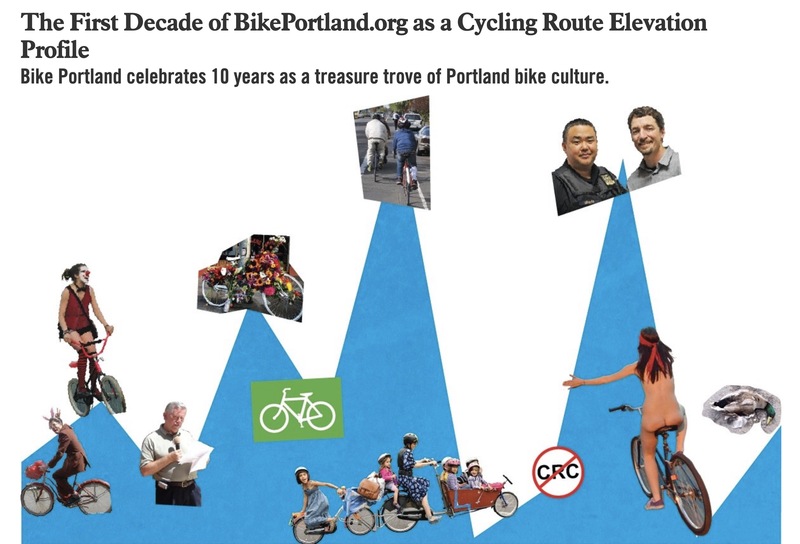 BikePortland is run by Pedaltown Media, Inc., a corporation registered in the state of Oregon. The site is supported by subscribers and advertisers. Join them by becoming a supporter today! — Jonathan was named one of 50 Most Influential Portlanders by Portland Monthly Magazine in 2011. — Jonathan received an Alice B Toeclips Award from the Bicycle Transportation Alliance for “Opening roads and minds to bicycling” in 2007. — We were given a Certificate of Special Congressional Recognition For Outstanding and Valuable Service to the Community by U.S. Congressman Earl Blumenauer at our 10th birthday party in 2015. Willamette Week story for our 10th anniversary. If you have any questions, or if you would like to talk about an ad campaign, please contact us. Thanks for reading!